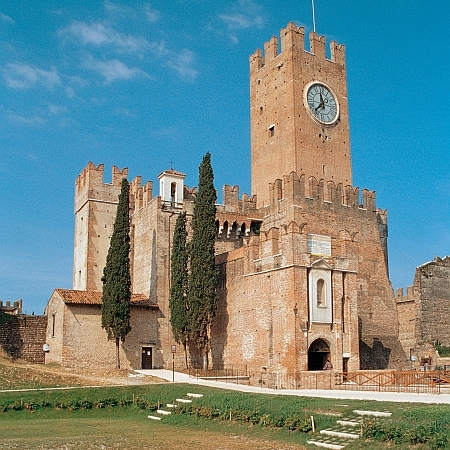 is in three and four star hotels in Bolzano, Lake Caldaro/Ora, Trento, Sirmione/Desenzano and Verona (2 nights). 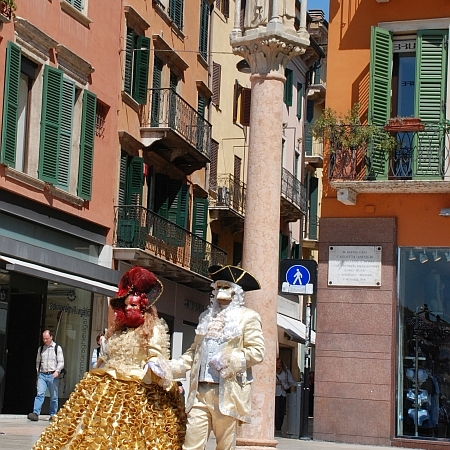 From Bolzano (Bozen), capital of the German speaking South Tyrol to Verona, the setting for Shakespeare's Romeo and Juliet, this tour offers a taste of two cultures linked by some magnificent countryside. 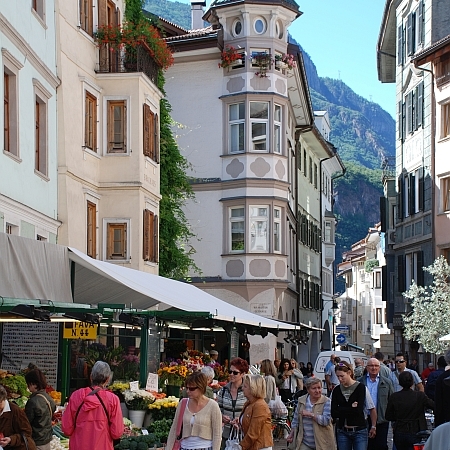 Arriving in Bolzano you will stay at a good central hotel with chance to explore the sophisticated shops which are testament to the trading history of this lovely old town where 'North meets South'. 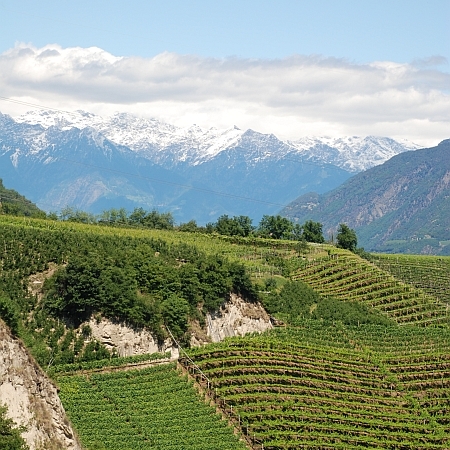 Visit the famous 'Otzi' museum to see the 5,000 year old man found preserved in ice on a nearby glacier, stroll around the colourful street market or relax with a coffee and a 'Strudel' and watch the world go by. 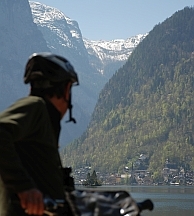 Leave the city via the wonderful network of dedicated cycle paths. 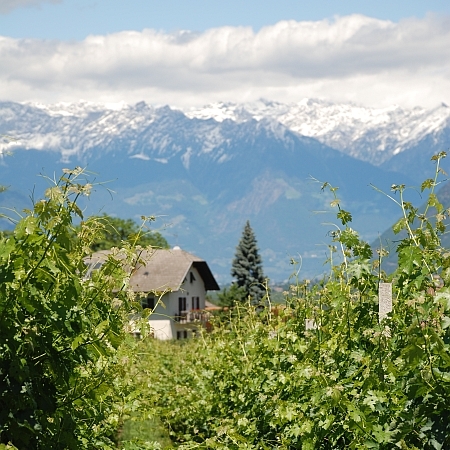 You then ride though acres of orchards which give way to row after row of vines as you pass through the pretty villages of St Pauls and Eppan to peaceful Lake Caldaro and the charming village of Ora. You spend the night at either Lake Caldaro or Ora. 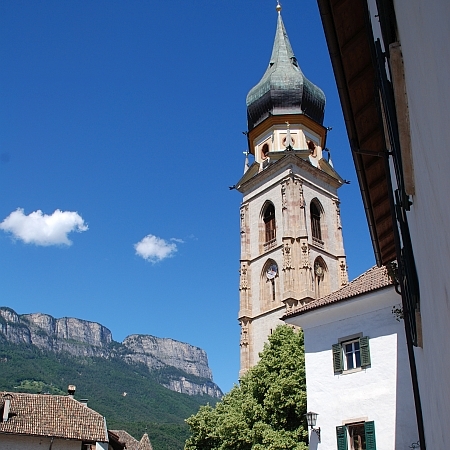 Follow the Adige cycle path south through the Dolomites as you cross the language border into Italian speaking Trentino. 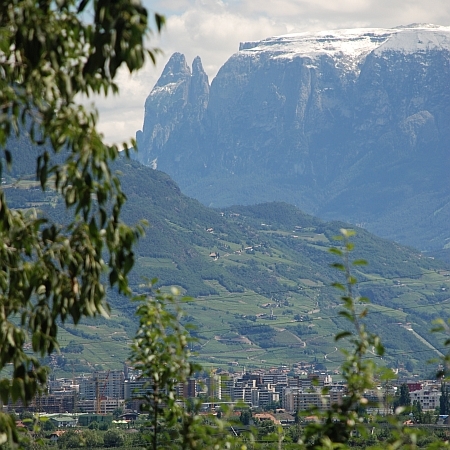 You continue along the river into the centre of the remarkable old city of Trento where you can explore the narrow cobbled streets and relax in the Piazza Duomo with its beautiful fountain and 16th century frescoes. 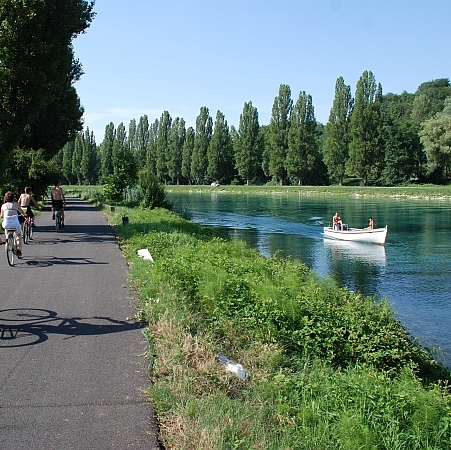 Continue along the cycle path as the River Adige heads south towards picturesque Rovereto. 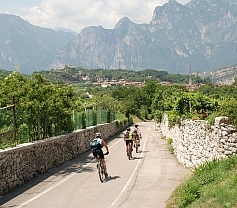 Then it's onwards to Mori before you leave the Adige and turn westwards as the cycle path follows an old railway line through a nature reserve before the beautiful vista of Lake Garda is revealed. 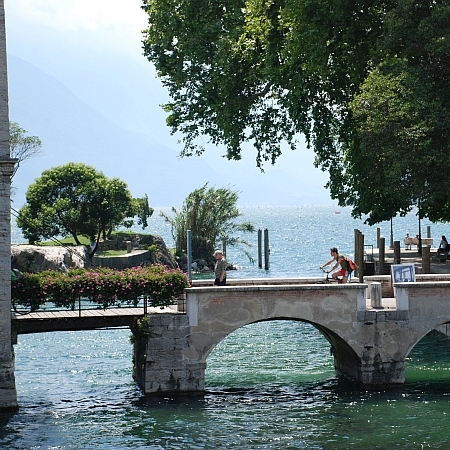 There is an enjoyable descent to Torbole before continuing along the lakeside to Riva del Garda . From here a ferry (included in tour price) carries you along the length of the lake and your accommodation in either of the lovely lakeside resorts of Sirmione or Desenzano. 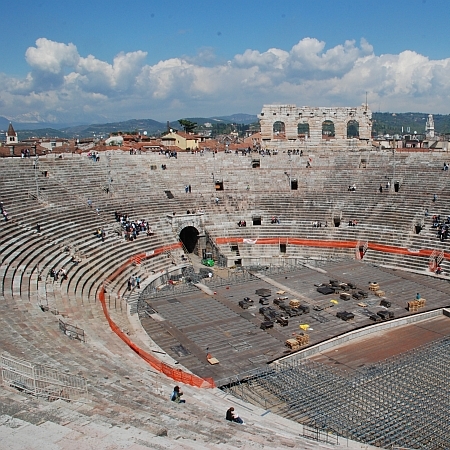 Putting the lake behind you, cycle through the gently rolling Veronese hills, through vineyards of Trebbiana grapes and along riverside paths to romantic Verona, famed for its cultural festival & Roman amphitheatre, old city walls and 'Juliet's balcony'. 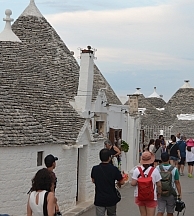 Later perhaps follow in the footsteps of Julius Caesar and cross the ancient stone Ponte Pietra bridge dating to Roman times, and take in the panoramic views from the Castel San Pietro. 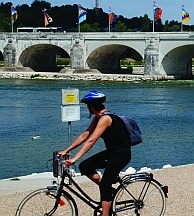 Optional cycling today, with Borghetto, a quaint mill village on the River Mincio, your first port of call. You then follow the River Mincio south to Mantua, an ancient city surrounded on three sides by water, a supposed 'place of exile' for Romeo in Shakespeare's play. 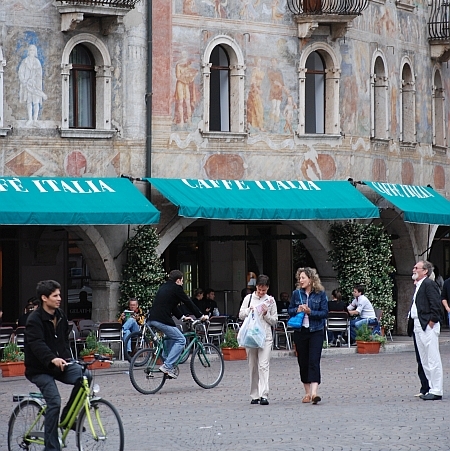 From Mantua you return with your bicycle to Verona by train (the fare is included in the tour price). Depart after breakfast following a final night in Verona.